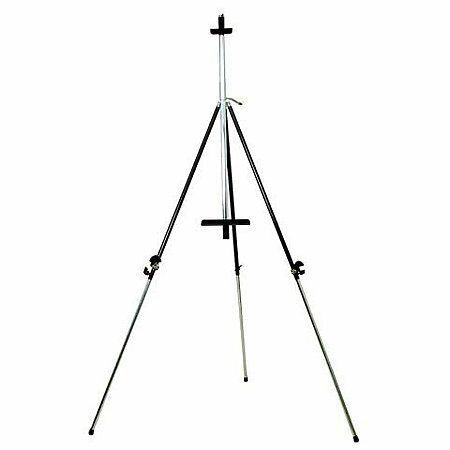 Light-weight and easily adjustable, the Norcross easel tilts upright for acrylic or oil painting, or lies flat for watercolor painting. The tray can accommodate canvases up to 28", and the adjustable leg clips can hold a canvas up to 54". Easel collapses for easy storage and comes with a carrying case that features a shoulder strap. The extended easel height is 80". Weighs approximately 6 lbs. Fully assembled. Adjustment instructions are included.